Location: SFU Harbour Centre – Room 1425, 515 West Hastings Street, Vancouver, B.C. Globally, renewable power and electric vehicle technology is evolving rapidly. As these technologies are adopted, they promise to reshape the face of energy and mobility in cities. Join us for a conversation with Ethan Zindler, Head of Americas for Bloomberg New Energy Finance, as we discuss the trends and economics driving the renewable energy transition. 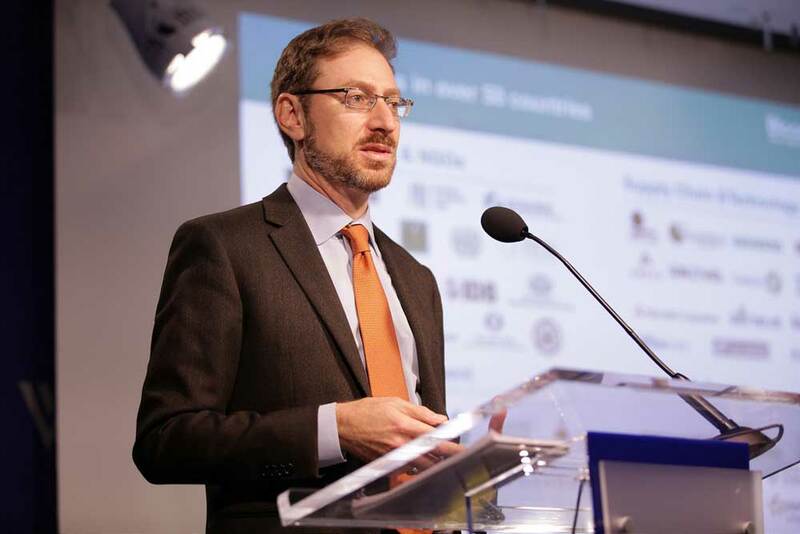 Ethan Zindler serves as the Head of United States Research at New Energy Finance Limited. Mr. Zindler oversees New Energy Finance’s team of analysts, researchers, and news writers in the Americas covering clean energy market developments. He edits and writes research notes on industry trends and speaks regularly at conferences and to the media on the subject. Based in Washington, he is also NEF’s specialist covering US clean energy policy developments. Prior to joining NEF, Mr. Zindler spent two years as covering the controversy surrounding the Cape Wind offshore wind project as business reporter with the Cape Cod Times. Mr. Zindler has held a variety of news reporting, editing, and web production jobs over his 15-year career. He served in the Clinton White House Office of National Service and produced MTV’s online news coverage of the 2000 presidential race. His articles as a freelance and staff writer have appeared in the Wall Street Journal, Salon, The American Banker and elsewhere. Mr. Zindler holds an MBA from Columbia Business School and a BA from Georgetown University.